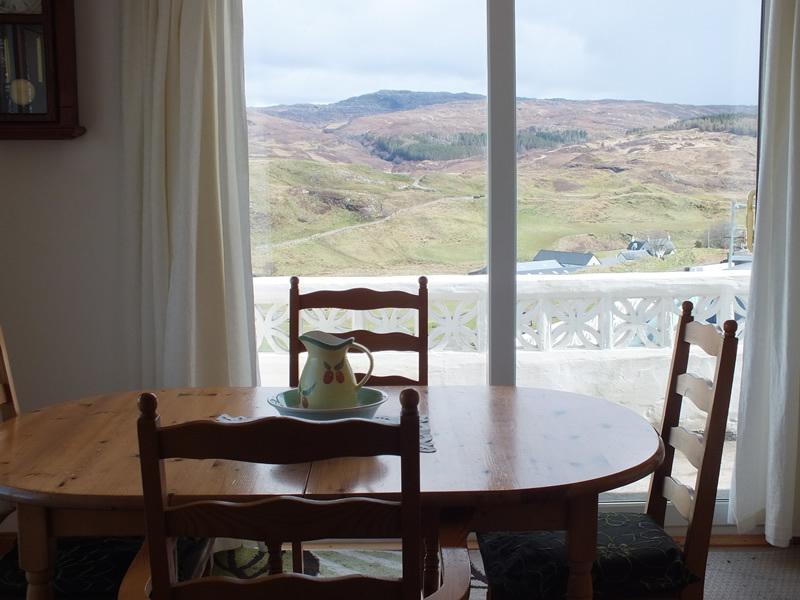 Adults Only Self Catering Accommodation in Ardnamurchan - About Air an Oir Holiday House West Scotland. 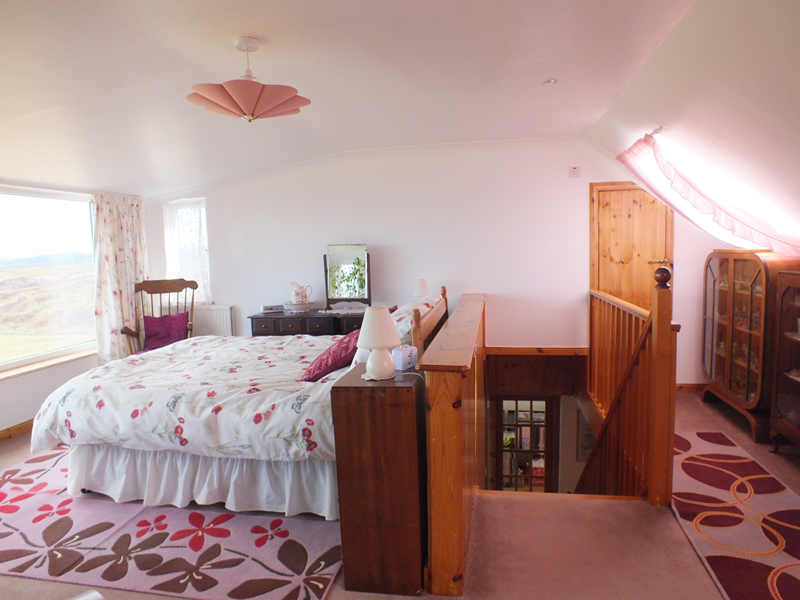 Air an Oir - Adults Only Self Catering Accommodation in Ardnamurchan for up to 4 adults. 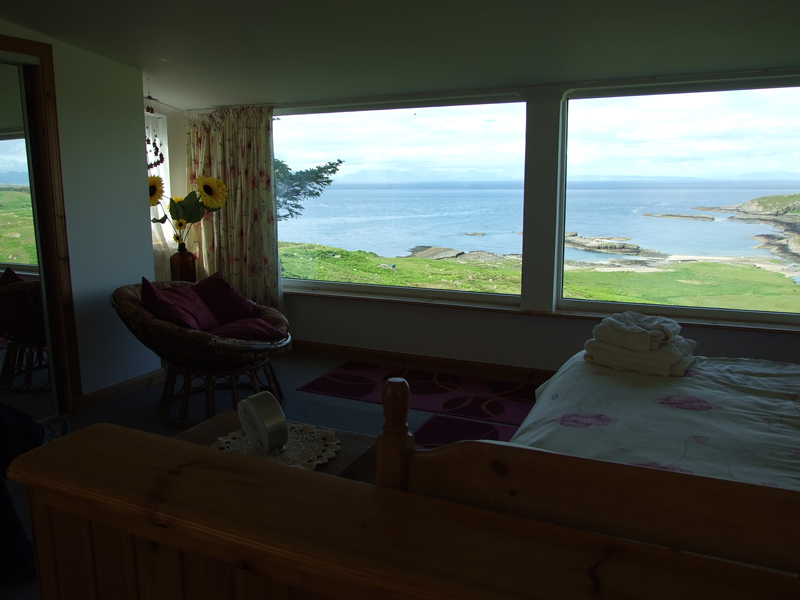 Self Catering for adults only - Beautiful Holiday Location on the Ardnamurchan Peninsula in Argyll, West Highlands of Scotland. 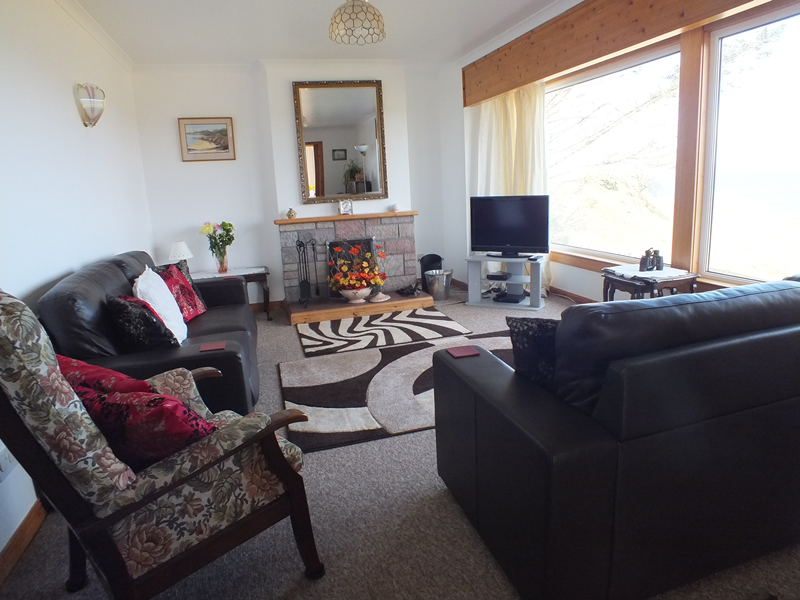 The Sitting Room with real open Fire, has a Colour Television with Video/DVD player and a Music Centre. 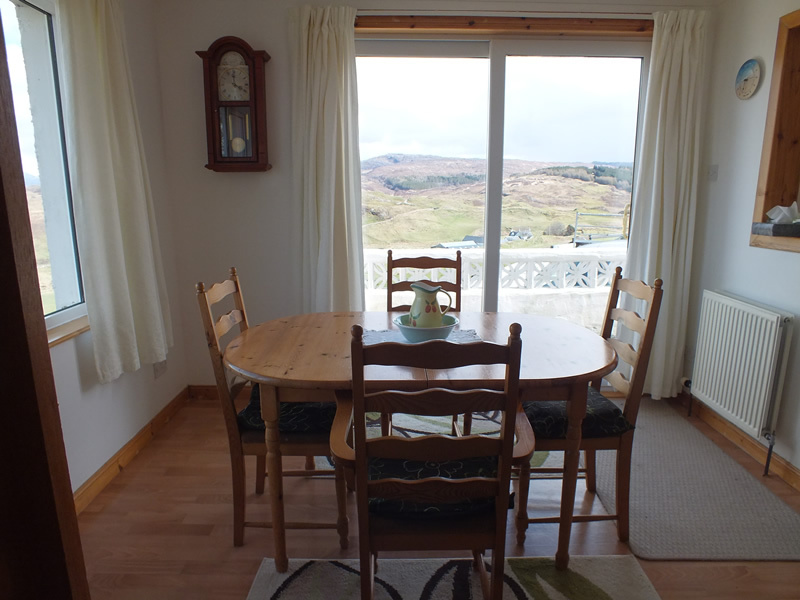 Both the large Sitting Room and the Dining Room offer the opportunity to relax and enjoy the spectacular views from this property. 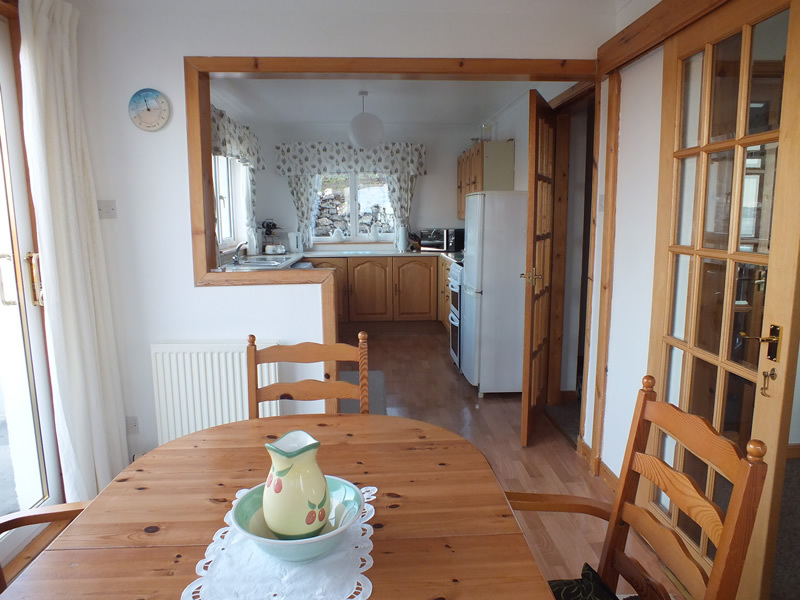 The Dining room also has patio doors leading onto the verandah. 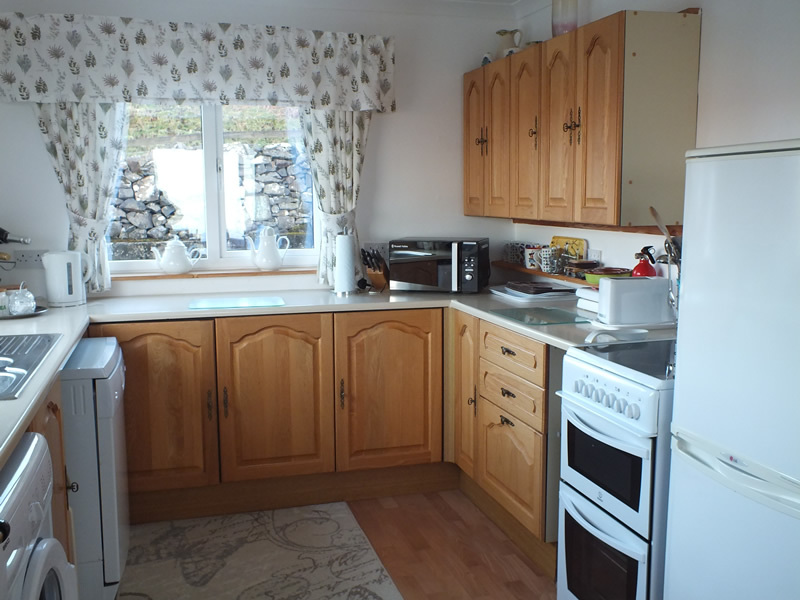 The Kitchen, which is open plan to the Dining Room, has an oil fired boiler which ensures the house is always warm and cosy. The kitchen is also equipped with Cooker, Fridge, Freezer, Dishwasher, Washer Machine, Microwave Oven and CD/Radio. 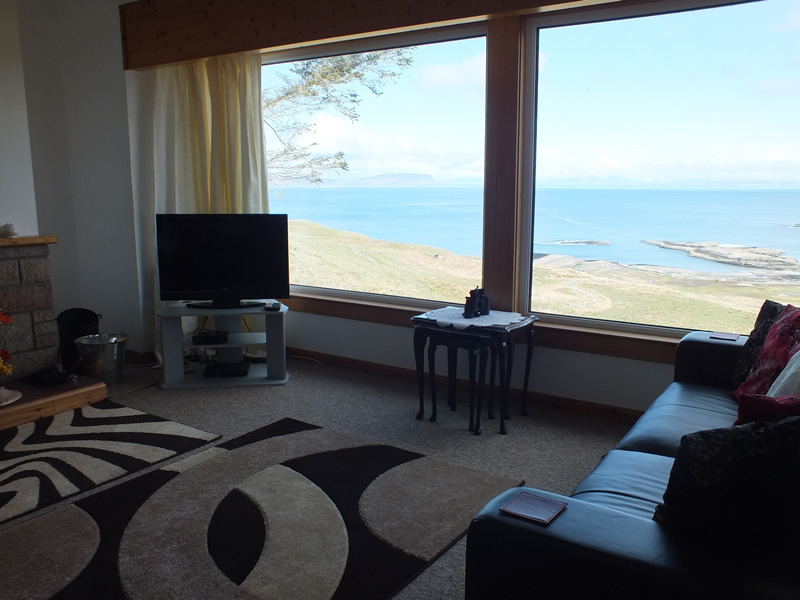 The accommodation is for up to 4 adults only, with a choice between two double rooms on the ground floor and a large double room upstairs with panoramic view towards the Islands of Eigg, Rhum & Muck. 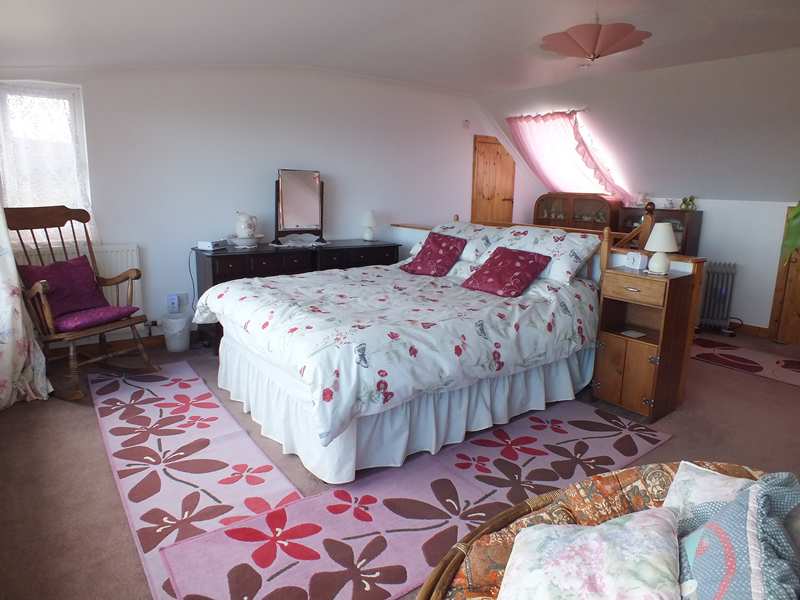 There is a large bathroom and a separate shower room with Electric Shower, both situated on the ground floor. 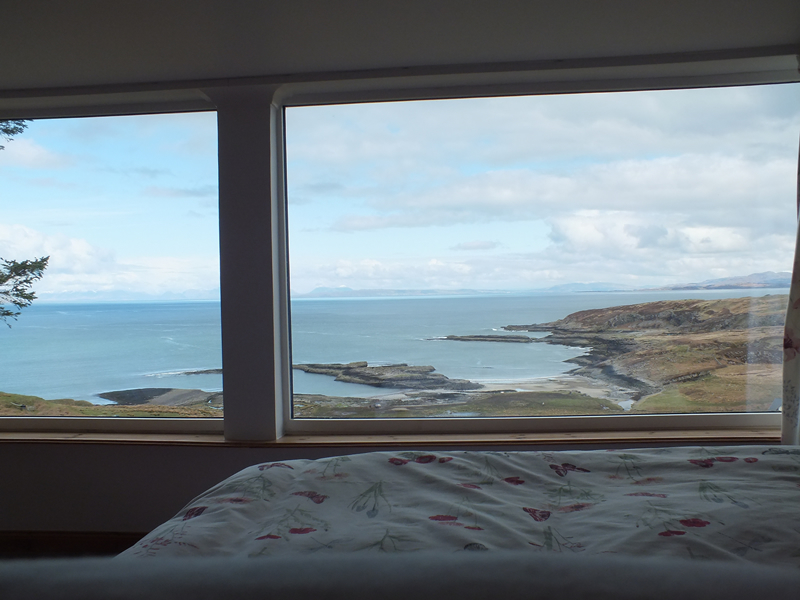 Air an Oir , Achateny, Ardnamurchan, Argyll, Scotland, PH36 4LG.